For the video game character Andross, see List of Star Fox characters § Andross. 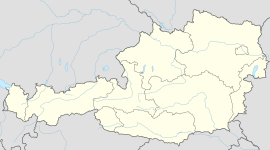 Andorf is a municipality in the district of Schärding in Upper Austria, Austria. As of 2008, it had a population of 5,023. Andorf is divided into the 7 cadastral subdivisions: Andorf, Burgerding, Heitzing, Kurzenkirchen, Oberndorf, Schulleredt and Teuflau. The 56 localities which belong to the municipality are Andorf, An der Fernstraße, Autzing, Bach, Basling, Breitenberg, Bruck, Burgerding, Eberleinsedt, Edt bei Heitzing, Edt beim Pfarrhof, Erlau, Gerolding, Getzing, Großpichl, Großschörgern, Haula, Hebertspram, Heitzing, Heitzingerau, Hier, Hof, Hörzberg, Hötzlarn, Hötzenedt, Humerleiten, Hutstock, Kleinpichl, Kleinschörgern, Kreilern, Kurzenkirchen, Laab, Lauterbrunn, Lichtegg, Linden, Lohstampf, Matzing, Mayrhof, Niederhartwagen, Niederleiten, Oberndorf, Pimpfing, Pram, Pranzen, Rablern, Radlern, Seifriedsedt, Sonnleiten, Schärdingerau, Schießedt, Schulleredt, Teuflau, Untergriesbach, Winertsham, Winertshamerau and Winteraigen. After the formation of the Dukedom of Bavaria the locality belonged to Bavaria until 1780 . As a result of the Treaty of Teschen, Austria received Innviertel and thus Andorf. During the Napoleonic Wars it again became part of Bavaria. Since 1814 it has been part of Upper Austria. After the incorporation of Austria into Greater Germany by Nazi Germany on 13 March 1938, the locality belonged to "Gau Oberdonau". After 1945, Upper Austria was restored. Wikimedia Commons has media related to Andorf.